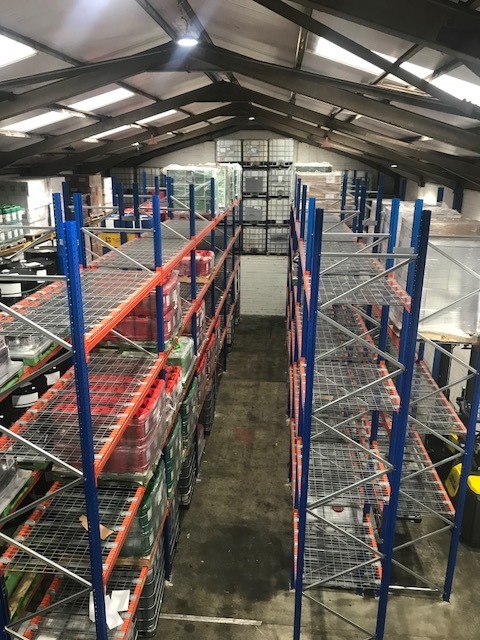 Upon renovation to the warehouse we redesigned the lighting layout to optimize the amount of light in the warehouse based on the new racking layout and to reduce lighting energy costs by 75%. “The Lighting upgrade in our distribution ware house has made a huge difference. It has significantly reduced our energy cost, maintenace cost and also reduced our carbon footprint. We carried out a lighting energy audit on the premises to look at ways of reducing the companys energy cost and optimizing the quality of light in both the distribution warehouse and offices. Upon completion of our audit we learned that the quality of light was poor and some staff were having trouble reading labels etc. We came up with a tailored lighting solution to optimize both energy efficiency and increase the quality of light significantly and slashing both their energy and maintenance costs in half . Upon completion of the installation the managers were extremely happy with their savings and how it has modernized the building so the staff can find what they are looking for and see what they are doing. Complete retro fit of office lighting using 600x600 led panels. . 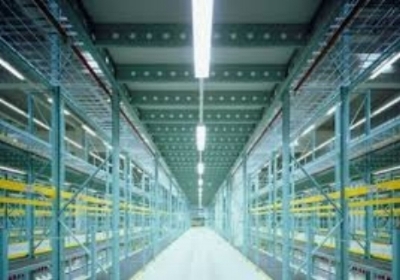 Existing warehouses useing 150watt philips coreline highways from a 400watt metal Halide highbay. Mezzanine floor changing from 2x 58watt vapour proofs to a philips corleine 32watt vapour proof. Complete design and installation of electrical services to include emergency lighting designed to IS3217:2013 and Fire Alarm to IS3218:2013. Design and install of all data and fiber network cabling. Rewire and design of lighting, Emergeny lighting upgrade of lighting to Led 600x600 panels and downlights throughout. Strip out of old data cabling and rewire to new Cat 6 points throughout. McArdle Traynor were asked to quote competively on this project and were very happy to be awarded the 6 month contract. Panda Power - being a power company - were extremely selective in the process of finding an electrical contractor who would be able to specify, supply and fit a power and lighting system that would pass any scrutiny in regards efficiency and energy saving. LED lighting upgrade for major oil distribution company in Crumlin, Dublin.